AVC (Any Video Converter) is a free program to convert video files from one format to another and supports basic editing features. 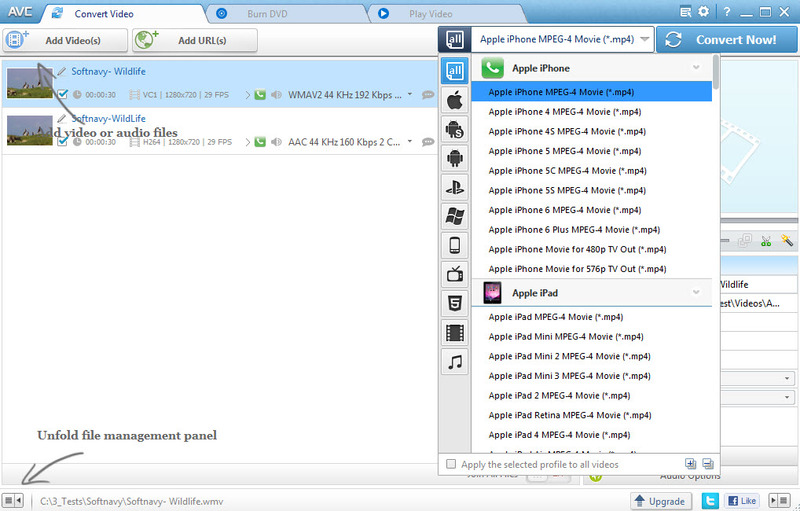 You can drag&drop video files and process them all in batch mode. It includes built-in profiles for different devices such as iPad, iPhone, Apple TV, Android phones and tablets, Sony PS2/PS3 and many more - there are hundreds of profiles. 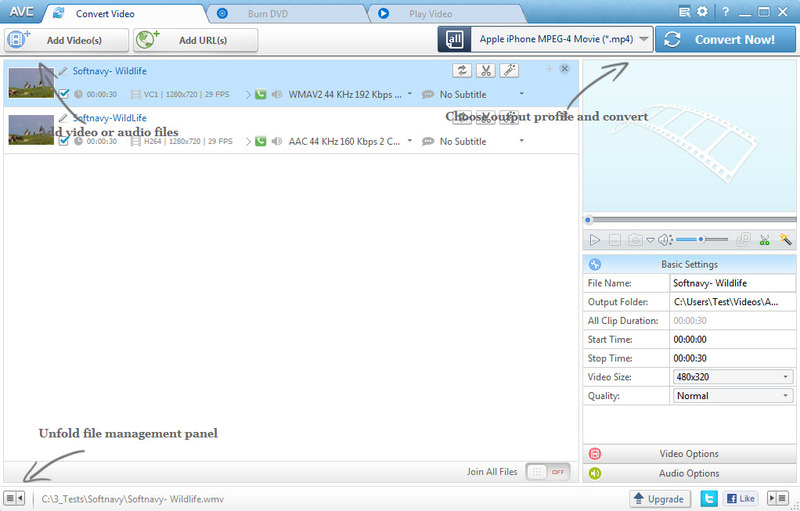 These profiles will help you to save time and convert the file to a format ready to be used by your device. AVC is not just a simple video converter, in addition includes features to add watermark, change brightness, contrast, saturation or crop the video file. 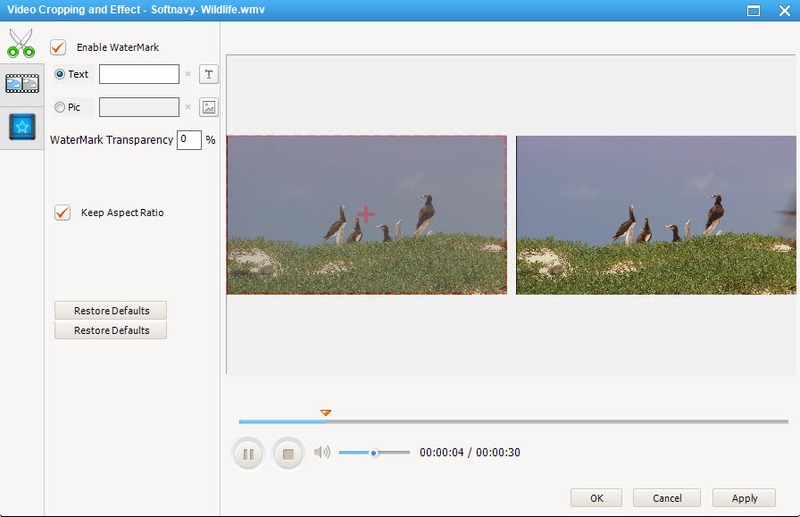 Includes a video player and all editing actions can be previewed before applying them. Any Video Converter is available as free download for Windows 32-bit and 64-bit.